As more school districts are looking to electrify their bus fleets, they are struggling to afford the costs associated with electric school buses. One solution is the Pay As You Save system. The model would allow utilities to invest in the charger and battery for a bus. Late last month, Congress permanently reauthorized the Land and Water Conservation Fund, the largest public lands bill in a decade, representing a major win for environmentalists and recreatalionists nationwide. 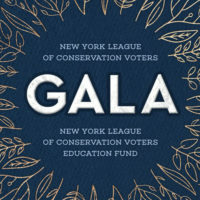 Where do NYC Public Advocate Candidates Stand on Environmental Issues? A special election for NYC Public Advocate will occur on February 26th. While NYLCV has decided not to make an endorsement in this race, we reviewed candidates’ records and solicited answers to an environmental questionnaire. NYLCV President Julie Tighe testified before the New York State Senate Committee on Environmental Conservation's hearing on the Climate & Community Protection Act. Last month, Governor Cuomo and the Department of Public Service (DPS) moved to implement landmark new energy efficiency and energy storage targets that will help decrease greenhouse gas emissions. Read our 2019 State Policy Agenda here. The ongoing federal government shutdown has brought several consequences to our environment and public health. Many local projects, such as air quality monitoring and Superfund site cleanups including the Gowanus Canal in New York City, are suspended.